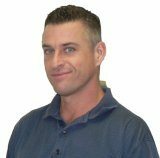 Dave ArnoldToday, Panel Built is proud to announce the promotion of former Operations Manager, Dave Arnold, to General Manager. Dave attended high school in New Jersey and then went to college at the University of Georgia. There he fell in love with the North Georgia region. After spending five years in Ohio and New Jersey as production supervisor for Johnson Controls Automotive Seating Group, Dave “jumped” at the opportunity to join Panel Built in May of 1995 as the production manager. Dave is married to Sharon Arnold and has two daughters, Aladriel (10) and Alyssa (13). When not at the office, his interests include fishing, boating, sports, and spending time with family.